Anyone remember the TV show, 24? Jack Bauer was the epitome of a rebel and patriot, or at least that’s how he was marketed to us viewers (in addition to being a freak of nature who never took a bathroom break). The show was gritty, but also over-the-top. Bauer worked for a fictional division of the US Government, called CTU (the counter-terrorist unit). Behind the ever-so-chic glass walls of the CTU offices were dedicated employees, loyal friends and dangerous turncoats that comprised Homeland Security from within. For us at planIT HARDWARE, it’s fun keeping an eye out for the products we sell and seeing them show up in various aspects of popular culture. 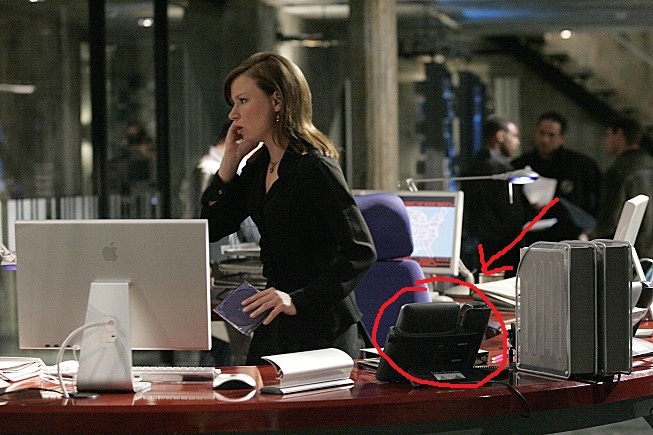 We have the Cisco CP 7940 IP Phone and other models in stock, the very same phones CTU used to connect with Jack Bauer while he was out growling at people to drop their weapon and finding out that this or that person wasn’t who they said they were. You can even find ways to program these nifty little devices to have that classic 24 ringtone. This phone will keep you and your coworkers/employees connected through voice, but with the security, speed and integrity of the internet powering it all. For more on IP Phones and VoIP, read our earlier post on it. And to take a look at our selection of IP Telephony at prices 60-90% less than the manufacturer’s, check out the planIT HARDWARE site. great article and big fan of 24, do you know the name of the ringtone on Cisco phones as it would be awesome to have this.